and hinges are part of the wide range of ready-made products we have available. 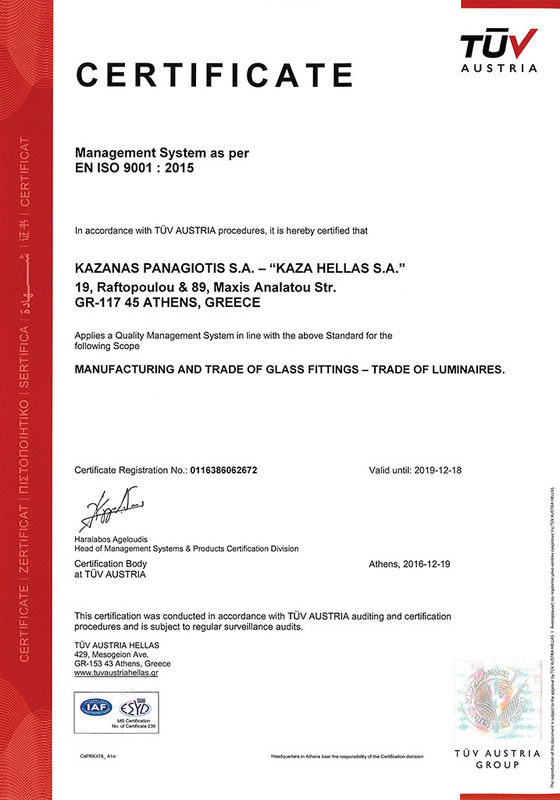 KAZA HELLAS, responding to the demands of modern business reality and aiming at improving its organizational structure with the objective to better serve its customers, decided to develop and install a Quality Management System according to the requirements of ISO 9001: 2015. 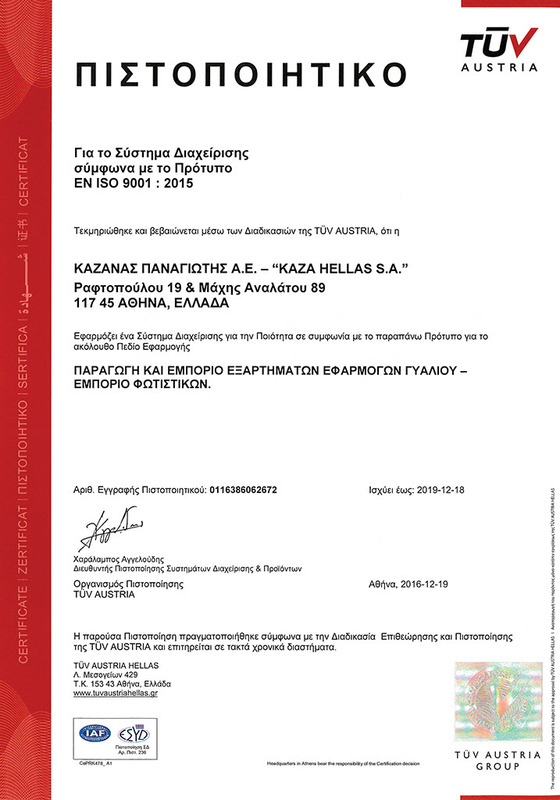 Stay informed about Kaza Hellas S.A. news and programs.